A video interview of Robert (Bob) Curl interviewed by Harry Kroto with whom he shared the Nobel Prize along with Richard Smalley for the discovery of fullerenes (Carbon 60 - Buckyballs) in 1996. Robert Curl discusses his childhood including the impact of being the son of a minister (moving home yearly) had on his early years. He tells us why he decided to go into working in chemistry research and about the help he gained from a chemistry teacher to do special projects. He informs us that he applied and passed an entrance exam to go to Rice University, Texas, USA in order to study chemistry. A decision made possible for Curl because at that time tuition at Rice University was free of charge. Curl recalls that another attraction to Rice was the university`s good football team! At Rice, Curl studied natural products and found steroids very interesting. After Rice University Curl went to work for Kenneth Pitzer at the University of California Berkeley where he worked on theoretical chemistry until he turned his attention to working in the field of spectroscopy. In this section of the interview Curl discusses spectroscopy with Kroto (who also worked in the field of spectroscopy at Sussex University during the same period). 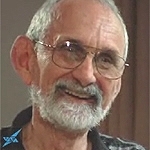 Curl and Kroto`s mutual research interests led to a collaborative relationship which in turn led to a further collaboration with Richard Smalley (also of Rice University). In 1996 all three were awarded the Nobel Prize for Chemistry for the discovery of fullerenes.